I’m Madison, your favorite former intern. 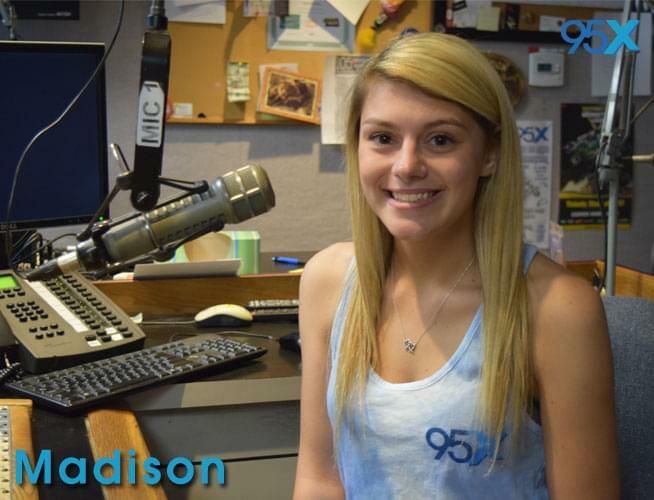 I started with 95X last summer as the intern on The Morning Mess so some may know me as Intern Madison. I graduated from SUNY Oneonta in May so now I’m back! I’m excited to be a real staff member of 95X and to be working with such a great team. It doesn’t hurt that I’m also getting paid now. My life is pretty nonstop but when it does slow down I like to spend lots of time with my pup and usually catch up on my lack of sleep.